You know you’re in for some rough sailing when it’s the evil twin that goes over the side of the boat leaving the goody-goody twin to assume her identity. Spoiling your “twin tricks Glenn Ford” gimmick by having him get the better twin after already dumping her for her slightly sluttier sister doesn’t make much sense and limits the sort of screeching drama that a movie of this sort demands. 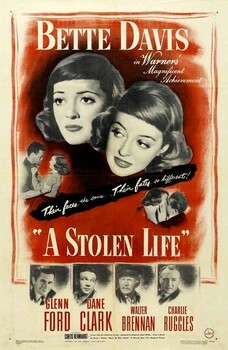 A slow moving film that never amounts to much and frequently languishes on the shoals of extraneous plot points, A Stolen Life seems to be scripted without any concept of what a Bette Davis movie involving dirty tricks and silly plot twists is all about. 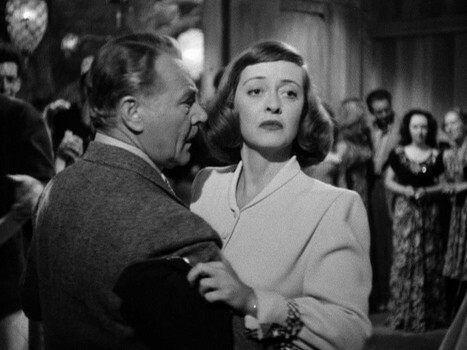 One need only to look at films such as The Great Lie and The Old Maid to see how these things should at least be attempted (actual execution is another thing entirely). The dirty tricks in the movie aren’t terribly dirty and the silly plot twists, while silly, don’t carry all that much in the way of high stakes consequences. The movie though is such a plodding affair that we don’t even get to the underwhelming evil twin stuff until about a half hour into things. Kate (she’s the mousy twin) comes to an island off the coast of Massachusetts to visit her sister, Patricia. 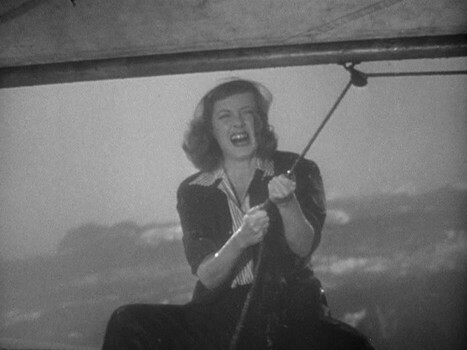 She manages to miss the last ferry of the day, but is able to cajole Glenn Ford’s Bill into giving her a lift to the island. He usually doesn’t carry passengers, but he makes an exception in her case and doesn’t mind when she uses the two hour trip to sketch his portrait. You see, Kate is an artist in addition to being a repressed plain Jane with a whore for a twin sister. I’d like to say that the whole artist angle really added some vital moments to the film, but that would be my evil twin talking. It did manage to add a good fifteen minutes to things that were quite needless. Kate’s relationship with Bill progresses, but for some reason she never wants him to go to her place. I’m guessing it was because she was afraid that Patty would steal this guy away from her. Of course, the beauty of evil twins is that even when the good twin knows the other one is prone to nefarious activities, all it takes is a moment alone with their target and all the precautions in the world can’t save you. So it is that even though Kate has done her best to not only keep Patricia out of the picture, but also to hide the fact that there even is a Patricia, it’s a chance meeting on the docks while Bill is waiting on Kate that vaults Patty into the picture. By the time of the local barn dance, it’s pretty clear where his intentions lie when he dances with Patty while Kate is left to fume with her cousin. But why the switchover to the other twin? It’s like Bill explains to Patty. You see, Kate is like a cake. Sure men like cake, but you know what makes cake even better? No, not more layers you fools! Frosting! A cake needs a little frosting to make it really appetizing and guess whose cake is all slathered up with Bill’s favorite flavor, Vanilla Hussy Creme? As boring as the first part of things was, you could at least understand that they were attempting to set up the story for the rest of the flick. This middle part where Kate becomes a success, has an art show at a gallery, and runs into a really grubby, intense artist prone to hypercriticism has nothing to do with either the beginning part or the last part of the movie. Luckily, all of this filler was promptly forgotten once Kate goes back to the house on the island thinking that Patty would be gone. While Kate is unable to save her sister, she is able to save her sister’s wedding ring, which allows everyone who finds her to think that it was Patty that survived and not Kate. 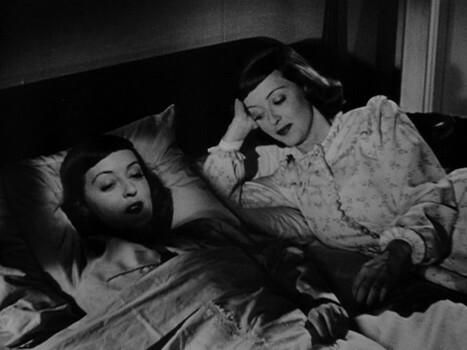 Confronted by this case of mistaken identity, Kate does the only thing a twin would do in such a situation and plays along thinking that she’ll move in on Patty’s sweet life. This was all based on a book by a Czech author so I’m going to be charitable and just assume that pretty much everything was lost in the translation. Let’s see if I have this straight: the only reason that Kate decided that maybe impersonating her dead sister and tricking Bill is wrong is because it turned out that her sister’s life sucked? If Patty had a perfect marriage, are we to assume that Kate would have never had a sudden attack of conscience? But Kate isn’t the only worthless slug in this mess. Bill is a piece of trash himself. Even aside from his boorish behavior toward Kate at the beginning of the movie (dumping Kate for Patty just because Patty wore more make-up), his reaction to everything at the end of the movie was quite suspect as well. Since it turned out that not only was Patty a piece of crap to be married to, but now also quite dead, you’ve suddenly realized it was Kate you loved all along? Even though she didn’t have enough frosting for you earlier? Even though she lied all about who was really dead? And even though Kate was clearly second choice, she’s more than willing to let this guy back into her life? Ugh. These two deserve one another. As far as the rest of us, I think we can all do better. This movie won’t steal your life, but I’m pretty sure it’s not going to be giving those 107 minutes back any time soon.